Possible Structure Fire: 125 Sipes Road, South Buffalo Twp. 7/8/12: Once again, at 1509 hours Company 70 was alerted along with 169 and 70 EMS to 125 Sipes Road, South Buffalo Twp., for a tree on wires, tree is on fire, caller advising embers are landing on the house. Armstrong 911 also relayed that the residence is not on fire at this time. Engine 70-1 and Ambulance 70-2 (2nd call for 70 EMS) responded. While enroute, Armstrong 911 advised that Able 600 was on scene with West Penn Power with no fire, requesting all units proceed with caution. Shortly after, Engine 220-1 marked enroute and had all other units cancel. 7/8/12: At 1226, Company 70 was alerted for a tree down on wires in the area of 131 Sipes Road, South Buffalo Twp. covering for 220 during their annual tractor pull. Engine 70-2 quickly responded with Squad 70 behind. 70 units arrived to find as reported. With West Penn Power notified and an extended ETA given, Company 70 units cleared due to no immediate hazards and no need for the fire department. 7/7/12: At 1427, Company 70 was requested on the 2nd alarm for a working structure fire on Stark Road in Clinton Township, Butler County, assisting Saxonburg VFC. Engine 70-1 responded and assisted on scene with manpower and water shuttles. Chief 70 requested Allegheny Twp. Station 99 out of Westmoreland County to move into Station 70. Engine 99-2 and Tanker 99, as well as additional personnel from 70, stood by in Station 70 for a couple hours until Engine 70-1 returned. Boat 70 was requested by the Pittsburgh Regatta to assist in shutting down the Allegheny River during the races, along with various other local agencies. Crews utilized Boat 70 from 7/1 to 7/3, and were paired with Citizens Hose Boat 167 for most of the days. Boat 70 also assisted in transporting Regatta and local government officials between the Point and the stadiums. A great time was had by all, and it allowed for an opportunity to get some training on the boat and work with 167's new boat as well! 6/22/12: At 2057 hours, Companies 70, 220, 130 Dive Team (Kittanning #6), and 70 EMS were dispatched for a water rescue on the Allegheny River, approx. 1/2 mile North of the public dock in Freeport. Caller reporting a male in the water with a broken leg, unable to get out of the water. Medic 70-1 responded immediately and was met at the dock by Sarver Capt. 36 and Lieut. 36, who were on a personal boat, and deployed onto the river. Rescue 70 responded up Dam Road to get a visual on the patient while Squad 70 (with Boat 70) was sent to the Buffalo Creek Marina to stage for possible deployment. 36 and Medic 70-1 were able to get the patient onto the shore in the area of 603 Riverside Drive, and all 70 units diverted to that location. EMS requested a helicopter in the air due to the injuries as well as the fact that the patient was in the water for almost an hour before rescue crews were called. 130 Dive was cancelled and Engine 220-1 was sent to the football field for a landing zone. 70 crews immobilized the patient and utilized the stokes basket to extricate the patient from the shore and up the hillside into the ambulance. The patient was then loaded onto Stat MedEvac 3 and transported to a Pittsburgh trauma center. Great job to everyone involved! Company 70 personnel responding: 14. Units on Scene: Rescue 70, Squad 70, Boat 70, Medic 70-1, Chief 70-1, Lieutenant 70, Engine 220-1, Stat MedEvac 3, "Boat 36"
6/18/12: At 2227 hours, 70 EMS was requested by Buffalo Twp. PD to respond to an MVC at the intersection of Route 356 and the ramp to Route 28 South, at the traffic light. Medic 70-1 responded, followed by Ambulance 70-2 with a volunteer crew. Both units arrived to find two vehicles off the roadway with two patients requesting evaluation. Both patients refused transport, and 70 EMS returned to service within the hour. 6/16/12: This morning just after 0600 hours, Companies 220, 70, 70 EMS, and 169 Rescue were dispatched to the area of 1251 Sarver Road, South Buffalo Twp., for a vehicle over the hillside with entrapment. Ambulance 70-1 and Rescue 70 (with 3) responded and were given the update that the patient had self extricated. 169 was then cancelled by 220. Engine 70-1 (with 5) and Squad 70 responded as well. Engine 70-1 was released upon arrival, with Rescue 70 and Squad 70 providing traffic control. Ambulance 70-1 obtained one refusal and returned to service shortly after arrival. Company 70 personnel responding: 12. 6/15/12: At 2111 hours, Company 70 and 70 EMS were alerted for a brush fire in the area of Laube Hall in the Borough. Chief 70 and Engine 70-2 (with 4) went enroute within 4 minutes, with Engine 70-1 (with 5) and Squad 70 (with 4) shortly behind. Chief 70 arrived to find a burn pile smoldering and requested Engine 70-2 into the field to extinguish the hot spots. The trash line was pulled, and the POK Foam Nozzle was utilized. Crews were in service within the hour. Company 70 personnel responding: 15. 6/12/12: Just before 2200 hours, 70 EMS was dispatched into Buffalo Twp., Butler County, on Route 356 in the area of the Giant Eagle for an MVC with three vehicles involved, possibly one patient unresponsive laying on the road. Medic 70-3 responded immediately, with a volunteer crew in Ambulance 70-2 close behind. Both units arrived behind Buffalo PD at the corrected location of Route 356 at Rambler Drive to find as reported, with 3 additional patients all out of their vehicles. 70-3 packaged one patient while 70-2 triaged the others. Both crews were assisted by EMS personnel from Buffalo 27 and Sarver 36. One patient was transported to a Pittsburgh trauma center by 70-3, and a second patient to a local facility by 70-2. 6/12/12: At 1945, just after a wave of storms passed through the area, Company 70 was alerted for a tree down on power lines, tree on fire, in the area of 166 Old Pike Road. Chief 70 quickly marked up and arrived to find a branch on the lines with a small amount of fire, requesting all units non-emergency. Engine 70-1 and Squad 70 responded. Shortly after arrival the fire had burnt itself out. Crews secured the scene until the arrival of West Penn Power, and at that time all 70 units returned to service. Company 70 personnel responding: 10. 6/3/12: Throughout the afternoon, Ambulance 70-2 covered the Buffalo Township Community Days at Lernerville Speedway, which was unfortunately cut short due to storms. Those same storms knocked out power to Freeport Borough for part of the evening, bringing Squad 70 and 70 Fire Police to Route 356 at Laneville for traffic control at the traffic light. Also, Companies 220, 70, 169, and 70 EMS were dispatched to 460 Ford City Road for an AFA. Medic 70-3 and Engine 70-1 responded and were cancelled enroute with a false alarm. 6/2/12: Company 70 was requested to cover for Company 220 for a report of trees down on wires in the area of McVille Road and Curren Road in South Buffalo Township. Engine 70-1, Rescue 70, and Squad 70 all responded. Squad 70 handled traffic control while Engine 70-1 and the Rescue secured the scene. Crews found a tree that fell onto the wires, knocking guide and ground wires down and cutting power to the area. West Penn power advised they were in storm mode cleaning up from the tornado in Westmorland County, and did not have an ETA. 70 cleared the branches that were blocking the road and cleared the scene with no hazards. Company 70 personnel responding: 12. 6/1/12: While Ambulance 70-2 was standing by at Laube Hall for Freeport High School's graduation ceremony, Companies 220, 70, 169, and 70 EMS were dispatched to Birdsfoot Golf Course in South Buffalo for an AFA. Engine 70-1 and Engine 70-2 were cancelled upon going enroute by 220 with a false alarm. 5/29/12: Just before 2000 hours, Companies 220, 70, 169, and 70 EMS were alerted for a one vehicle rollover, unknown entrapment, vehicle on fire on Route 28 near Exit 18. Engine 70-1 and Medic 70-3 both responded quickly. 220 arrived to find no fire and two injuries. Ambulance 70-2 was then added to the assignment. Upon arrival of 70 units, 70-3 and E70-1's medical personnel assisted in packaging one patient from the vehicle. 70-3 transported the patient to a local hospital while the second patient refused transport via ambulance. 5/28/12: At 1815 Companies 220, 70, 169 Rescue, and 70 EMS were dispatched to the area of 394 Ford City Road in South Buffalo for a vehicle into the hillside. Medic 70-3, Ambulance 70-2, Rescue 70, and Chief 70 responded. While enroute it was updated that there were two injuries. 220 arrived to find one vehicle off the road into a large rock. 70-3, 70-2, and Rescue 70 packaged and loaded both patients with assistance from 220, and both were transported to local hospitals. All units cleared within the hour. Memorial Day Parade Interrupted by AFA in Buffalo Twp. 5/28/12: Once again, Freeport hosted the annual Memorial Day Parade and following ceremonies. Engine 70-1, Engine 70-2, Rescue 70, Medic 70-3, and Ambulance 70-2 participated in the parade. Company 70 was joined by South Buffalo, Sarver, and Buffalo fire departments as well as Freeport PD, local military units, the FHS Marching Band, and numerous community groups. Several other members assisted with lineup and traffic control throughout town. Boat 70 was deployed onto the river as well with a crew of 3. In all, 22 men and women from Station 70 gathered to honor our current and fallen veterans. Just as the parade started 36, 27, and 70 were dispatched into Buffalo Township for an AFA. Engine 70-2 broke off from the parade route to respond along with the 36 and 27 units. E70-2 was cancelled enroute with a false alarm and returned to the parade. Thank you to the Freeport VFW for another great memorial service, and thank you to all of our veterans! 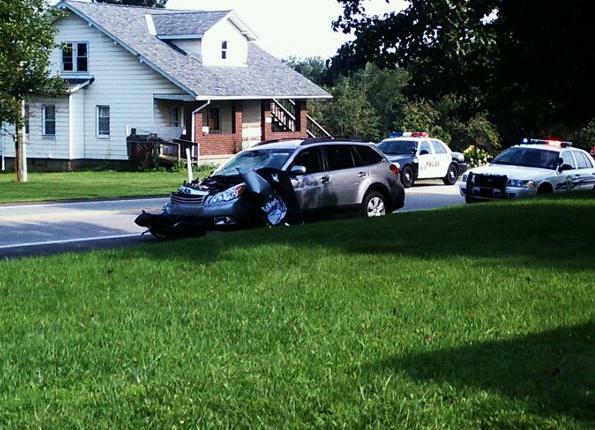 Vehicle vs. Motorcycles- Ford City Road, South Buffalo Twp. 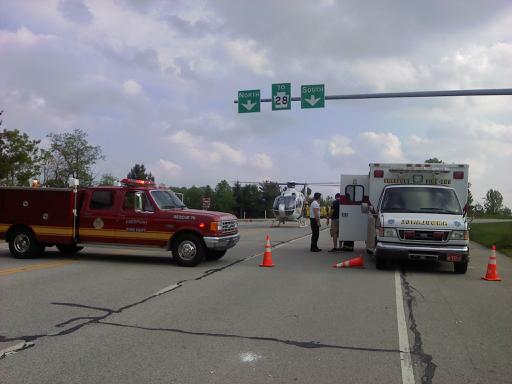 5/6/12: At 1253 hours, Companies 220, 70, and 70 EMS were dispatched to the area of Cabin Greens on Ford City Road in South Buffalo Township for an MVC involving one vehicle and two motorcycles. Initial reports advised no injuries. Ambulance 70-3, Engine 70-1, and 70 Squad all responded. A70-3 confirmed no patients requesting transport. Chief 220 had E70-1 and S70 standby at Ford City Road and Iseman Road to block off the road. Engine 70-1 returned shortly after arriving, and Squad 70 remained on scene for approx. 1 hour before being released by command. Company 70 personnel responding: 8. 4/26/12: At 2116 hours, Companies 220, 70, 169 Rescue, and 70 EMS were alerted for a vehicle over a steep embankment in the area of Freeport Road and Dock Hollow Road, South Buffalo Township. Medic 70-3 and Rescue 70 (with 4) quickly responded and arrived with Engine 220-1 to find the vehicle over an approx. 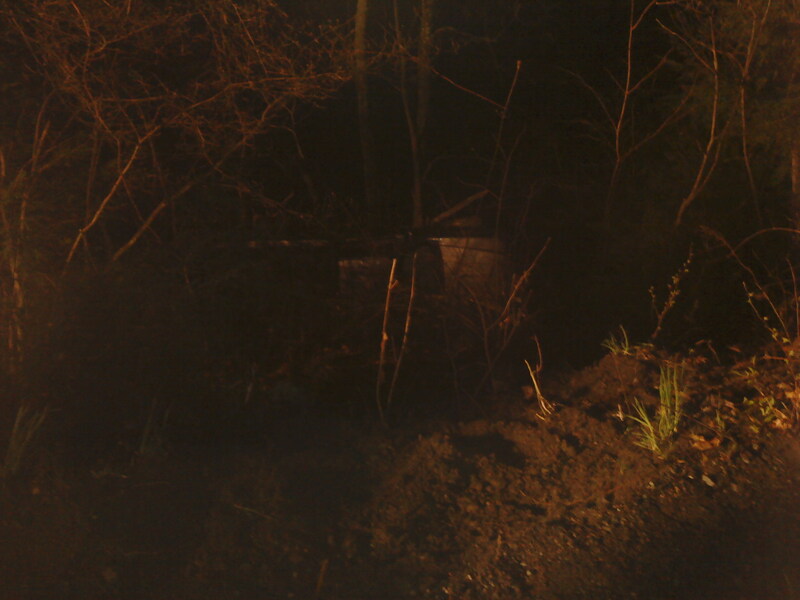 30 foot embankment, with no occupant found. Rescue 169 was cancelled by 220. Engine 70-1 (with 5) also responded, and Squad 70 (with 3) provided traffic control. An additional crew for Engine 70-2 was held in station. Crews remained on scene until Gillette's Towing was able to pull the car back onto the road. Company 70 personnel responding: 17. 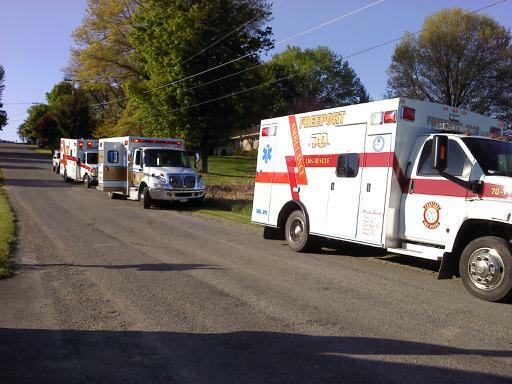 4/20/12: Just after 1700 hours, 70 EMS was requested into Butler County to respond for an MVC involving a motorcycle in the area of Route 356 and Edgewood Drive. 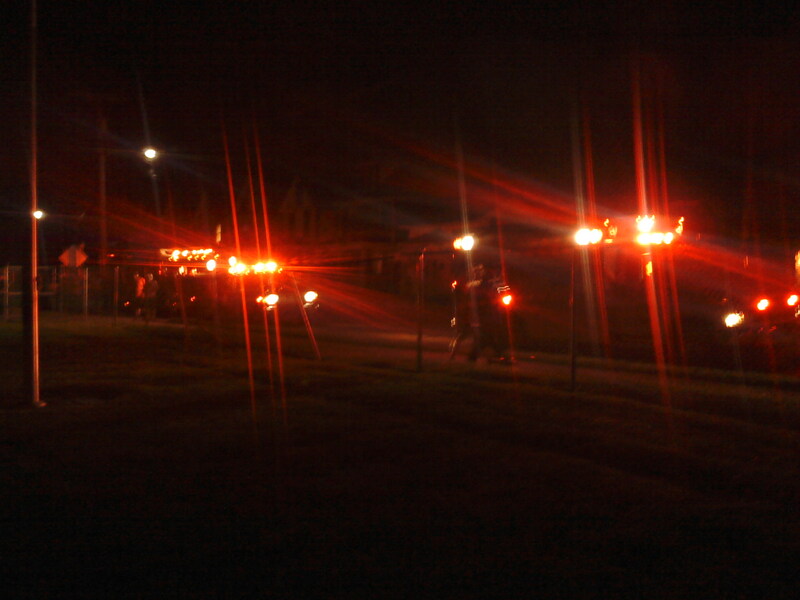 Medic 70-1, Medic 70-3, and Ambulance 70-1 responded. Crews from 36 and 27 arrived and began patient care, followed shortly by 70 EMS units. Medic 70-1 transported one patient E1 to a Pittsburgh trauma center. Engine 27 established an LZ for LifeFlight near Garrett's Place, where Medic 70-3 transported their patient to be flown to Pittsburgh. 4/20/12: At 1443, 70 EMS (2nd call working) was requested to respond with Sarver 36 and Buffalo 27 to a brush fire in the area of the Buffalo Plaza. Brush 27 and Brush 36 arrived and had the small fire extinguished quickly. Ambulance 70-3 responded and was cancelled on scene by command. 4/18/12: At 1811, Companies 70, 220, Ladder 36, and 70 EMS were alerted for a possible structure fire at 215 High Street in the borough. Chief 70 arrived on scene within a minute and established command. Engine 70-1 and Ambulance 70-1 responded with 7 personnel. E70-1 interior crew found a short in the stove producing smoke, with no fire, and began ventilation. Engine 220-1 was staged and Engine 70-2 was held in station. Ladder 36 was cancelled. Crews cleared the scene by 1846. Company 70 personnel responding: 11. 4/13/12: At 1615 hours, Companies 220, 70, 169, and 70 EMS were dispatched to a possible brush fire in the woods between Freeport Road and Dam Road. Engine 70-1 and Engine 70-2 responded with 8 personnel and were ordered to proceed down Dam Road to investigate. Upon arrival a large volume of fire was found. Crews attempted attack but due to the terrain and conditions were unable to do so and awaited arrival of brush units. Buffalo Tanker 27 and Brush 27 were moved into Station 70 to standby. Brush 27 was then sent to the scene, and Brush 36 was then placed on standby in 70. Shortly after, 36 was also moved to the scene. Medic 70-3 set up rehab operations. Crews operated on scene for over 4 hours before being released. Great job to all units involved! Company 70 personnel responding: 15. 4/10/12: At 0834, Companies 70, 220, Ladder 36, and 116 EMS (backup for 70 EMS) were dispatched to 455 Mill Street for a possible structure fire. 169 Engine was added to the assignment as well. Engine 70-2 responded and arrived with Engine 169 and Ladder 36. Crews investigated and found burn wires, and all units quickly cleared the scene. 4/9/12: At 1254, Company 70 was requested by Sarver 36 to stand by in station while most of the eastern Butler County units operated at a large structure fire in Clearfield Township. 11 personnel stood by in station without incident until being released around 1600 hours. 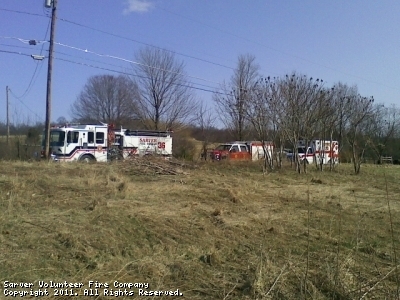 4/7/12: At 2131 Companies 220, 70, 169 Rescue, and 70 EMS were alerted for an MVC, vehicle rollover, possible injuries, and unknown entrapment on Freeport Road near Ford City Road in South Buffalo Township. Medic 70-3 and Rescue 70 (with 4) arrived on scene first to find one vehicle, negative rollover, and a utility pole across the road. Engine 220-1, Engine 70-1 (with 4), and 70 Chief arrived next and assisted with cleanup while Squad 70 (with 4) and Tanker 220-1 provided traffic control. EMS obtained one refusal, and all units with the exception of 220 and 70 Squad cleared to wait for the power company. Company 70 personnel responding: 16. Great job by everyone on this busy day! 4/7/12: Just after 1800 hours, Company 70 and 70 EMS were dispatched for a person trapped on an elevator at the Freeport Towers. Rescue 70 responded quickly with a full crew already in-station. Crews found both elevators to be empty and functioning and all units returned. 4/7/12: While crews were going over decon practices at the marina, at 1402 hours Companies 220, 70, 46 (Winfield), and 70 EMS were dispatched to the area of 151 Iron Bridge Road, on the Armstrong/Butler County line, for a reported brush fire. Engine 70-1 immediately cleared the training and responded along with Ambulance 70-3. Brush 220-2 arrived on scene quickly and had the scene under control. All units were cancelled. Company 70 personnel responding: 16. 4/7/12: Company 70 was kept busy all day on Saturday with HazMat Operations training, a public service detail, and three fire calls. At 8am 12 members of Station 70 met with Larry Johnson from Eureka Fire/Rescue and Allegheny County Hazmat for one of the practical days for Hazmat Operations. The Armstrong County Hazmat Operations Support Team brought their hazmat unit and decon trailer down for the class to look over, and crews went over team decon and mass decon practices as well. At 11am, 8 additional members staffed Rescue 70, Squad 70, and Medic 70-3 to handle the annual Easter Egg Hunt. Our PA system was set up and used for the event. Thanks to the Kiwanis for putting on another successful Easter Egg Hunt! 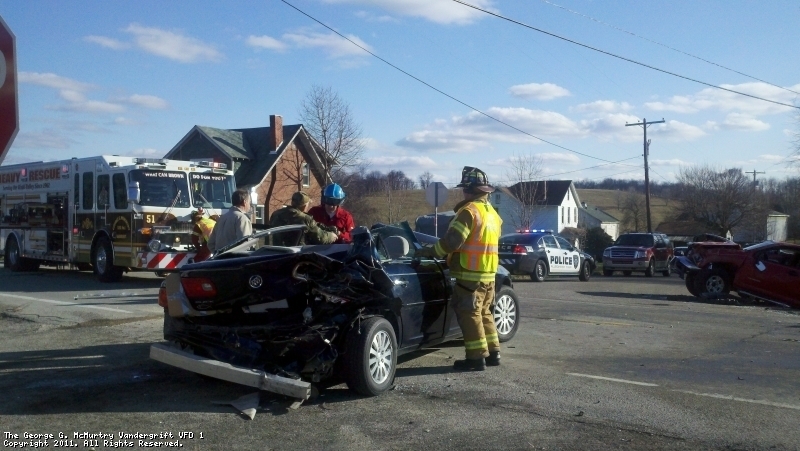 3/15/12: Company 70 responded into Westmoreland County to assist Allegheny Twp. Station 99 with a large brush fire involving multiple vacant structures. Crews were on scene for multiple hours, along with numerous other companies from around the AK Valley. Thanks to Sarver Station 36, who provided a standby crew in Station 70 during the incident. Minutes after 36 was requested to standby, 36, 220 (South Buffalo), and 15 (Saxonburg) were alerted for a fire alarm at Freeport Towers with reports of smoke on the 2nd floor. Thankfully a maintenance worker was able to extinguish the small fire prior to arrival of any fire units. Crews ventilated and 36 returned to standby in Station 70. Great job to all crews involved! 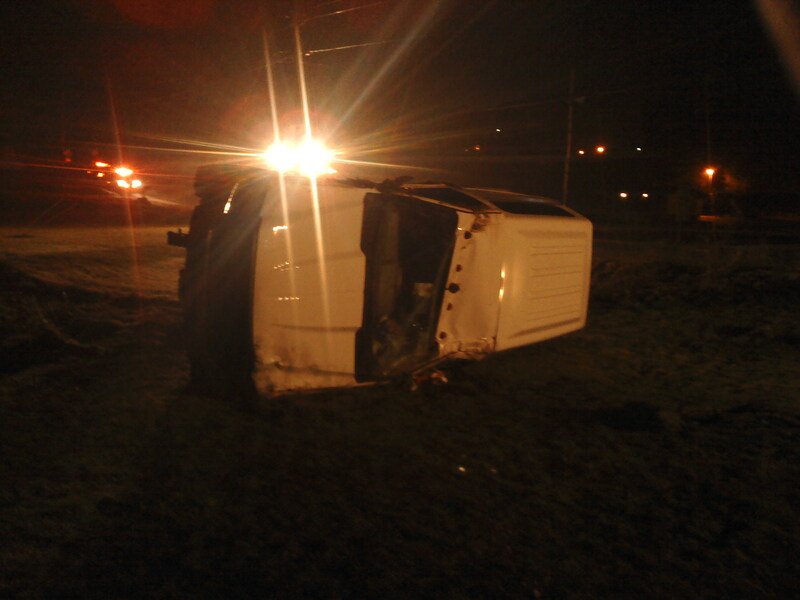 3/8/12: With Medic 70-3 out on an emergency call, 70 EMS was dispatched into Buffalo Township along with Sarver 36 and Buffalo 27 for a vehicle rollover on Route 28. This was reported to be located between Exit 16 and Exit 17, with a possible injury. Ambulance 70-2 responded with a volunteer crew in station. Brush 27 and Lieutenant 36 quickly arrived on scene to find one vehicle in the median, no rollover, requesting EMS continue for one evaluation. 70-2 arrived shortly after and obtained one refusal. 2/29/12: Tonight at 1749 Company 70 and 70 EMS were dispatched for a smell of gasoline in the area of Buffalo Street and Fourth Street. Chief 70 and Chief 70-2 arrived in the area with a slight odor. Engine 70-1 and 70 Fire Police also responded. Crews investigated and found the BP Gas Station to be the source of the odor and all units returned to service. 2/27/11: At 1339 hours, 70 EMS was dispatched into South Buffalo Township with Company 220 for a possible CO poisoning, possibly two patients with symptoms. 70-1 and 70-2 responded along with 220. EMS units cleared with no patients requesting transport via ambulance. Later in the day at 1752 hours, Companies 220, 70, 169 Brush, and 70 EMS were alerted for a brush fire in the area of 114 Kountz Lane, South Buffalo. Engine 70-2 responded and was cancelled enroute by 220. Just as crews were getting back to the station, at 1808 hours Company 70 and 70 EMS were alerted to respond to Freeport Community Park for a brush fire. Engine 70-2 quickly arrived with Chief 70 to find an unattended burn pile. Crews extinguished the fire and returned to service. 2/24/12: At 1059, Medic 70-1 and Ambulance 70-2 responded along with 36 and 27 to an MVC on Route 356 in Buffalo Township near the Route 228 intersection. Crews handled care of multiple patients. Both units transported patients to a Pittsburgh Trauma Center for treatment. Also, today Freeport EMS was inspected by the PA Department of Health for the 3-year renewal of our ALS Licensure, and we passed! Thanks to everyone that helped make sure the trucks were ready for inspection! 2/13/12: Just before 0300, Companies 70, 220, 15 Ladder, and 70 EMS were dispatched to 223 Fifth Street in the Borough for a reported structure fire. Chief 70 arrived within minutes with nothing showing and smoke alarms activating. After speaking with the occupants it was discovered that there was no visible smoke or fire. Engine 70-1 responded with 4 and investigated the units in the building. Engine 220-1 was staged at the hydrant at 5th/High. After investigating the building it was determined to possibly be a faulty detector. Saxonburg 15 was cancelled and 220 was released. Company 70 cleared shortly after. Company 70 personnel responding: 13. 2/11/12: At 1548, Company 70 was requested to assist Sarver 36 and Buffalo 27 with an AFA at 127 Stratford Drive, Buffalo Township. As Engine 70-1 marked enroute, Chief 36-2 requested 70 hold in station. Just as the assignment was placed back in service, Companies 220, 70, 169, and 130 EMS were dispatched to a working structure fire at 135 Worthington-Slate Lick Road, South Buffalo Township. Engine 70-1 was on the road in less than a minute with a full crew, followed by Rescue 70 and Squad 70. E70-1 arrived moments behind Engine 220-1 to find a fire in the siding of the porch. The Engine crew used the chain saw and hand tools to open up and check for extension and all units were placed back in service. Company 70 personnel responding: 11. 2/4/12: At 1114, Company 70 was alerted for a possible brush fire in the Freeport Community Park, in the area of the old airplane. Chief 70 arrived to find a pile of brush and tires smoldering, and with dry conditions requested Engine 70-2 to respond and extinguish the rest of the fire. Engine 70-2 responded with a full crew and used the trash line and shovels before returning to service. Company 70 personnel responding: 6. 1/30/12: At 1924, Companies 220, 70, 169 Rescue, and 70 EMS were alerted to Route 28 at the Exit 18 ramp for an MVC with injuries. Rescue 70 (with 4), Medic 70-1, and Ambulance 70-2 responded. While enroute, the Rescue was cancelled (with an additional crew in station). Medic 70-1 transported one patient while 70-2 handled one refusal. Company 70 personnel responding: 10. 1/13/12: Shortly after 2100 hours, Companies 70, 220, 169 Rescue, and 70 EMS were dispatched for a two-vehicle MVC in the area of the Laneville Bridge. Chief 70 arrived on scene with Medic 70-3 and requested 169 and 220 to hold in station, advising two vehicles on the road will all occupants out. Rescue 70 and Engine 70-1 responded with 9. The Rescue secured the vehicles while Engine 70-1 handled traffic control. 70-3 handled patient care. All units were cleared within the hour. Company 70 personnel responding: 12. 1/1/12: At 1908 hours, Companies 70, 220, Ladder 15, and 70 EMS were alerted for the smell of smoke in the building at the Freeport Police Station. Chief 70-2 had all units hold in station with the exception of Company 70. Able 700 advised there was a power surge, followed by popping sounds in the basement and a smell of wires burning. Crews investigated the building with the thermal camera. With nothing found, all units were placed back in service. Company 70 personnel responding: 14. 12/26/11: Just after 2100 hours, Companies 70, 220, Ladder 36, and 70 EMS were dispatched to a reported structure fire at 122 Stewart Street. Armstrong 911 reported the caller yelled "fire" and disconnected. Chief 70 arrived on scene with smoke in the building from an oven fire that had already been extinguished. 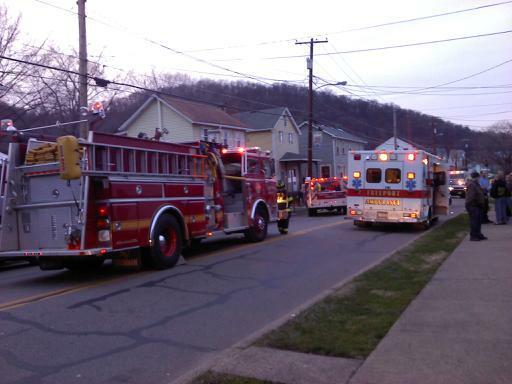 Engine 70-1 (full crew) and Ambulance 70-1 responded, and Ambulance 70-3 marked enroute from Kittanning Hospital. Squad 70 blocked off Stewart Street at Mill Street. Companies 220 and 36 were cancelled, and an additional engine crew was also held in Station 70. Engine 70-1's interior crew set up a fan to ventilate the building, and all units cleared within the hour. Company 70 personnel responding: 16. This was call #100 for Company 70 in 2011! 12/21/11: At 2024, Company 70 and 70 EMS were requested to respond into Buffalo Township, Butler County, at 130 Cinema Way for smoke in the building. Sarver 36 and Buffalo 27 were also dispatched. Engine 70-1 marked enroute in just 3 minutes with a crew of 5. E70-1 arrived on scene as the 2nd due engine, just behind Engine 27, and reported to the rear of the structure to stand by at the standpipe. E70-1 interior crew investigated the roof with E27 and found an overheating HVAC unit. The unit was turned back on and it was determined to be the source of the smoke. Engine 70-2 (with 4) and Medic 70-2 also responded. Chief 36 released Company 70 shortly after. Company 70 personnel responding: 11. 12/21/11: At 1745, Companies 70, 220, and Ladder 36 were alerted for a "barn on fire" in the area of Franklin Street in the borough. Armstrong 911 advised the caller was on Washington Street and could see the flames somewhere on Franklin Street. Engine 70-1 (with a full crew) and Medic 70-1 marked enroute and began investigating the area. Medic 70-1 found a controlled burn on Franklin and all units were cancelled. Engine 70-1 spoke with the homeowner and returned to service. Company 70 personnel responding: 14. 12/18/11: At 1023, Station 36 QRS and 70 EMS were alerted for an emergency call on Coal Street in the Butler Junction section of Buffalo Township. Medic 70-1 arrived on scene and upon entry of the residence, the CO Alarm on the first-in bag started going off. The crew requested 70 re-alerted for additional assistance and requested 36 for a full company response. Engine 70-1, who was in the area enroute to the Hilltop Hose memorial rededication ceremony, diverted to the scene to assist the ambulance crew. E70-1 arrived behind Brush 36 and Engine 36, and was ordered by command to shut the gas off to the residence. The interior crew searched the building with the meter along with the crew from 36, and found high levels of CO throughout the structure. Multiple fans were set up to ventilate the duplex until the gas company arrived. Engine 70-1 was released by command shortly after. Medic 70-1 transported two patients to a Pittsburgh hospital along with a medic from Saxonburg EMS. 12/17/11: At 1709 hours, Citizens Hose Stations 167 Rescue and 110 EMS as well as AK Pulsar Station 271 were alerted for an MVC on Route 28 near the Route 908 exit. While units marked enroute, Allegheny County advised that they were receiving reports of multiple wrecks, with possibly 6 patients and entrapment. With the update, 167 Assistant requested 70 EMS stand by in station. Medic 70-1 immediately marked on the air. Citizens Hose arrived on scene to confirm the reports, and requested all available units out of 70. Medic 70-1 and Medic 70-3 both went enroute. Harrison Hills Station 169 was also requested for an engine. Upon arrival, 70-1 began triage of the patients and 70-3 was sent by command to check to the Burtner Road exit for any additional wrecks. With none found, 70-3 returned to the scene and assisted crews. The two patients that were extricated were transported by Citizens Hose and AK Pulsar. 70-1 transported one to a local hospital as well. Throughout the incident, an additional crew was kept in station for Ambulance 70-2, and was ordered by command to stand by and cover any additional calls if needed. 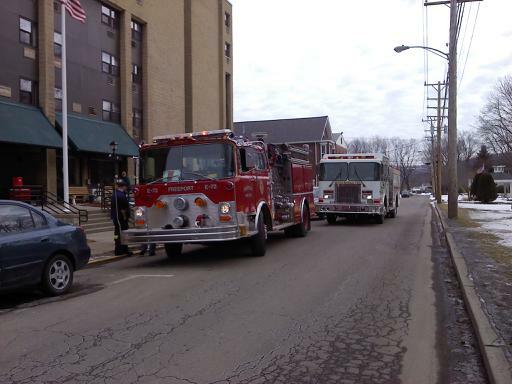 12/17/11: Shortly before 1100, 70 EMS was dispatched to Freeport Towers for a medical alarm activation. Upon arrival, Medic 70-1 found the door to be locked with a smell of smoke on the floor, and requested the assignment. Companies 70, 220, and 15 were dispatched. Chief 70 arrived on scene with nothing showing, and held the assignment to an engine from 70. Engine 70-1 responded and sent a crew to meet with Medic 70-1. The Engine crew gained access to the apartment and with nothing found all units returned to service. Company 70 personnel responding: 9. 12/8/11: At 1706 hours, Company 70, Engine 220, and 70 EMS were dispatched to 213 Buffalo Street for a CO alarm activation. Engine 70-1 and Medic 70-3 responded. Crews checked the structure along with a crew from Engine 220-1 and found slight readings of CO in the basement. Command released all units and advised the homeowner to have the furnace checked. Company 70 personnel responding: 7. 12/4/11: At 2042, Companies 220, 70, 169 Rescue, and 70 EMS were dispatched to McVille Road and Freeport Road for an MVC with injuries. Engine 70-1, Rescue 70, Squad 70, and Medic 70-3 all responded. Upon arrival, Chief 220-1 released Company 70, and Medic 70-3 transported one patient from the scene. Company 70 personnel responding: 12. Chief 2: Tom Sweeny Jr.
12/3/11: On Saturday afternoon, Engine 70-1, Engine 70-2, Rescue 70, Ambulance 70-1, Ambulance 70-2, and Medic 70-3 participated in the Freeport VFD Christmas Parade, with Santa riding on Engine 70-2 through town. Freeport PD, Tanker 27 (Buffalo), Engine 99-1 (Allegheny Twp. ), Gilpin VFD's antique fire engine, the FHS Marching Band, and various community groups also participated in the parade. Squad 70 and 70 Fire Police provided traffic control throughout the parade route. After the parade, Santa saw many children at the Santa House set up in our EMS garage. Members then enjoyed a night of family fun at the Freeport VFD & EMS Christmas Party! 70 EMS handled multiple runs throughout the evening as well. Thank you to the 21 members that helped set up and participated in the parade! 12/2/11: At 1015, just as the new 70-2 was delivered, the assignment was dispatched for an industrial structure fire at 155 Clinton Road, South Buffalo Township. Reported smoke in the cleaning building of Rosebud Mining. Engine 70-2 and Medic 70-1 arrived first on scene along with Chief 220 and were advised by workers that the fire was extinguished. The interior crew brought a water can inside to investigate. Engine 169 and Tanker 220 arrived, and 169 pulled two crosslays from E70-2 into the building. Tower 130 used its Thermal Camera to check for extension, which turned up negative. Crews ventilated the structure and Company 70 was released by Chief 220. Company 70 personnel responding: 8. 12/2/11: On Friday, December 2nd, Station 70 took delivery of the new Ambulance 70-2. Over the next few weeks, radios and equipment will be mounted and it will be inspected by the Pennsylvania Department of Health before it is eventually put in service! 11/25/11: Just after 1745 hours, Companies 70, 220, Ladder 15, and 70 EMS were dispatched to 713 High Street in the Borough for an oven fire. Ambulance 70-2 arrived within minutes to find smoke throughout the residence and no fire. Engine 70-1 arrived with a crew of 6 and ventilated the structure. Chief 70-1 had command and cancelled 220 and 15. Crews were available a short time later. Company 70 personnel responding: 12. Units on Scene: Engine 70-1, Rescue 70, Medic 70-1, Ambulance 70-2. 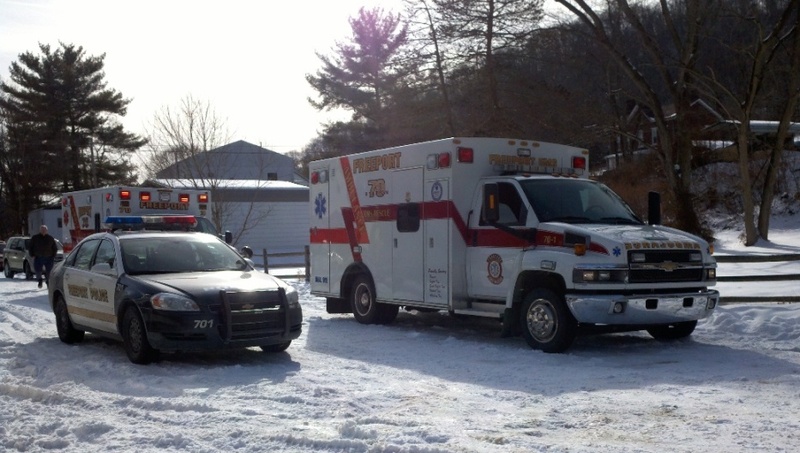 11/21/11: Right after 1800 hours, 70 EMS was requested to assist Westmoreland Companies 99, 101, Rescue 51, Rescue 69, and 116 EMS with an MVC w/entrapment on Leechburg Road in the area of Shearsburg Road in Allegheny Township. Medic 70-1 cleared from a transport and marked enroute. 70-1 was cancelled enroute by 116 Command due to there being sufficient resources on scene. 11/19/11: At 1007 Saturday morning, Companies 220, 70, 169 Rescue, and 70 EMS were alerted for the MVC on Route 28, reported to be 2 miles north of the Slate Lick exit, with injuries and possible entrapment. Medic 70-1 was enroute immediately and requested Kittanning EMS 130 due to this possibly being in their area. Rescue 70, Engine 70-1, and Squad 70 also responded. Crews arrived to find this to actually be between Slate Lick and Freeport, just north of the Buffalo Creek Bridge. Medic 70-1 transported one patient E1 to a Pittsburgh trauma center, while 130 EMS transported a second patient to a local hospital for evaluation. Company 70 was released by 220 shortly after. 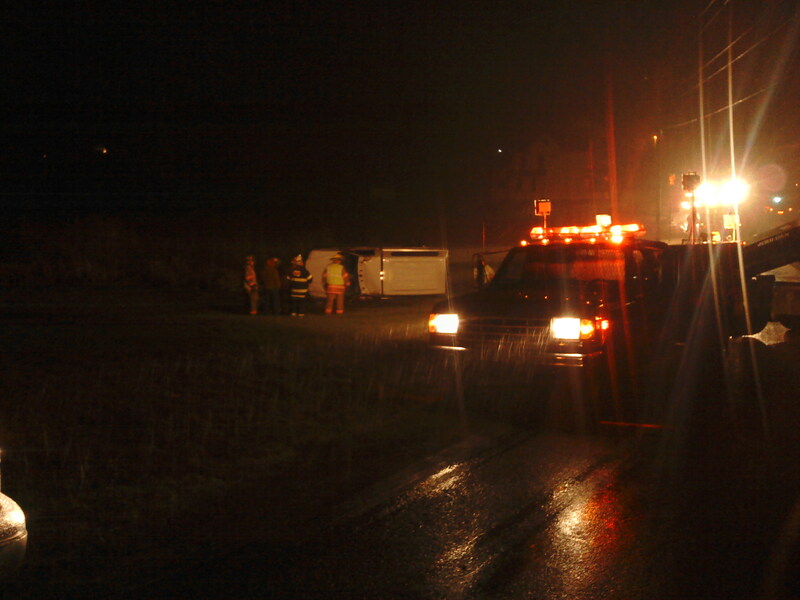 11/15/11: At 0655 hours Butler 911 dispatched Stations 36, 27, and 70 EMS for an MVC at the intersection of Ekastown Road and Sarver Road in Buffalo Township. Medic 70-1 responded and transported one patient to a local hospital. While returning to station, 70-1 was flagged down by workers at Gillette's Towing in Natrona Heights. A vehicle was found that apparently crashed into a trailer in their parking lot overnight. Sadly, the crew found two patients DOA in the vehicle. The scene was turned over to Citizen's Hose personnel upon their arrival and 70-1 returned to station. 11/12/11: Just after 2130 hours, Companies 70, 220, Ladder 36, and 70 EMS were dispatched to 310 Market Street in the Borough for a report of smoke in the area. Engine 70-1, Engine 70-2, and Ambulance 70-3 arrived to find nothing showing from the structure and all other units were to hold in station per Chief 70. Crews investigated the area and found the source to be a wood furnace in the vicinity, and the Company was placed back in service. 11/5/11: Reminder that this weekend is "fall back"! When you change your clocks, remember to change your smoke detector and CO alarm batteries. Use that "extra hour" to change batteries, test your detectors, and go over your fire evacuation plans with the family! Statistics show that the chance of a fire fatality can be cut in half with working smoke detectors. In the last year, Station 70 responded to two fires in Freeport where smoke detectors alerted the occupants to the fires while they were asleep! This goes to show that detectors really do save lives! 11/1/11: At 0539 hours Companies 220, 70, Rescue 169, and 70 EMS were dispatched to an MVC at the intersection of Furnace Run Road and Sarver Road in South Buffalo. 70 EMS and 70 Rescue responded but were cancelled by Able 600 prior to arriving on scene. Just before 0800 the assignment was again alerted for an MVC in South Buffalo, this time at Freeport Road and Horseshoe Drive, with injuries. Rescue 70 and 70 EMS responded. EMS transported one patient to a local hospital, and the Rescue crew assisted with cleanup of the scene. 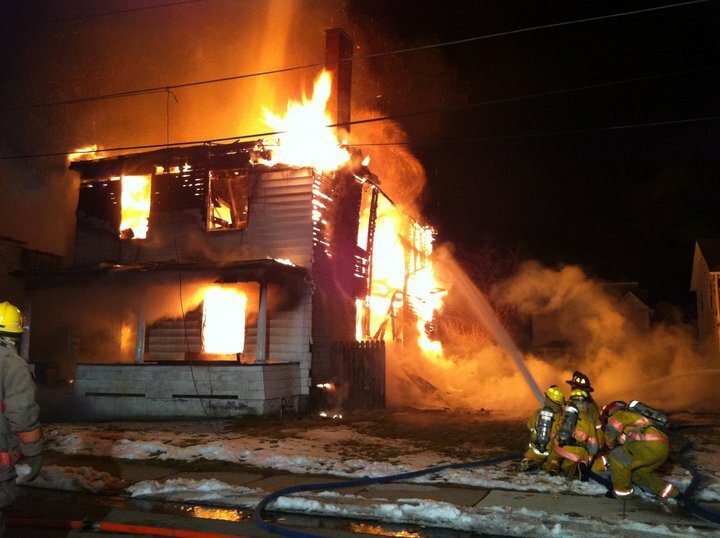 10/31/11: At 1814, as members were patrolling the streets for Freeport's Trick-or-Treat night, Companies 220, 70, 169 and 70 EMS were alerted for a structure fire at 428 Freeport Road in South Buffalo, caller reporting an oven fire. Engine 70-1, Squad 70, and 70 EMS responded. Crews arrived to find a light smoke condition with no fire. 70 assisted with ventilation and were released shortly after by 220 Chief. 10/26/11: Once again, the members of Freeport VFD held the annual Freeport Halloween Parade. Crews set up the judges stand along 5th Street, provided courtesy of Gillette's towing, and handed out numbers to be used to judge the costumes. The rainy weather that was scattered throughout the area held out, and come 7pm the parade began in front of the station and ended on 5th Street between Franklin and Market. Here, the parade "looped" around to give the judges a good look at all of the costumes! Hundreds of dollars in prizes were given out to the winners, and as per tradition members passed out hundreds of Hershey's chocolate bars to participants at the parade. The event was a success with the community, that is provided completely free of charge by Freeport VFD! 10/17/11: Today, crews took Engine 70-2 and Squad 70 to Lower Burrell to represent Freeport VFD & EMS in paying our respects to Officer Derek Kotecki. 10/15/11: As members were getting Engine 70-2 back in service from having repair work done, Company 70 was requested to respond to 612 High Street for a tree down. Rescue 70 (with 4), Engine 70-2 (with 3), and Chief 70-1 responded. Crews cleared the tree and returned to service. 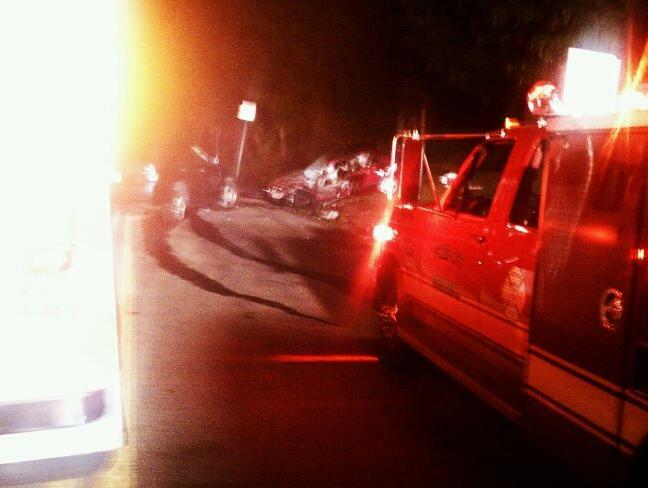 10/14/11: At 1715 hours, 70, 220, 169 Rescue, and 70 EMS were dispatched to an MVC in the area of 743 High Street. Rescue 70 and Medic 70-3 responded. Crews cleaned up the scene and returned to service within the hour. 70-3 obtained two refusals. The officers and members of Freeport VFD & EMS would like to send our condolences to the family and friends of K9 Officer Derek Kotecki. Officer Kotecki was tragically shot and killed on Wednesday October 12th while courageously serving his community. May he rest in peace. 10/10/11: Just after 1700 hours, Companies 220, 70, 169, and 70 EMS were dispatched for the smoke in the building at 136 Sipes Road, South Buffalo Township. Medic 70-3, Engine 70-1 (with 5), and Rescue 70 (with 4) responded. E70-1 and R70 were cancelled enroute, and 70-3 was cleared shortly after arrival. 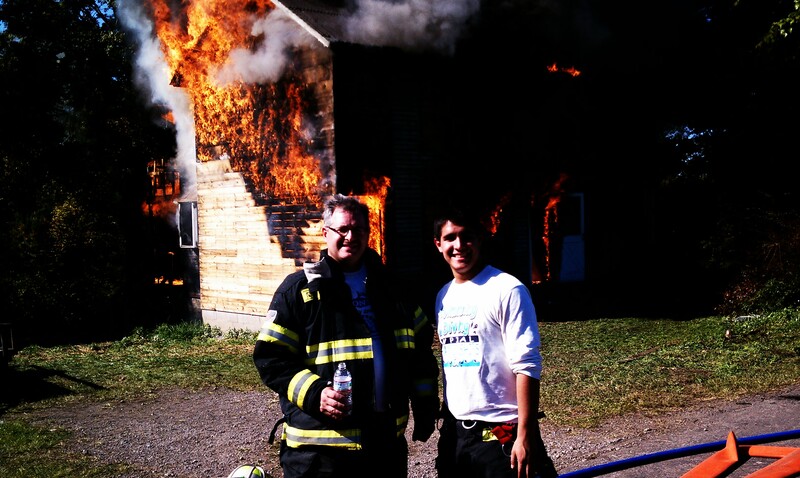 10/8/11: Today, two members of Freeport VFD attended a state structure burn class. Chief 2 Tom Sweeny Jr. attended, as well as Firefighter Ryan Sweeny. Both members participated in multiple evolutions throughout the day and gained valuable experience. Thank you to Allegheny Twp. VFD for hosting the class, as well as Bill George and Frank Lemon, the head instructors. 10/5/11: Companies 70, 220, 169 Rescue, and 70 EMS alerted for an MVC on Route 356 in the construction area, near the intersection next to the Rainbow. Medic 70-3 and Ambulance 70-2 responded. EMS, along with 70 Fire Police Captain, arrived on scene with two vehicles off the road, and had all units cancel. 70 EMS handled patient care, transporting one patient and obtaining one refusal. 10/5/11: Just before 1200, 70 EMS was requested to respond along with fire units to a working structure fire at 110 Meadow Street in Buffalo Township. Medic 70-2 responded, and provided a standby crew on scene throughout the incident. 10/4/11: At 1843, Companies 220, 70, 169, and 70 EMS were dispatched to the area of Kountz Lane in South Buffalo Township for a fire investigation. Caller reported seeing flames in the area of unknown origin. Engine 70-1, Rescue 70, and Medic 70-3 responded with 9 personnel. Crews were ordered to stage on Freeport Road until being cancelled by Chief 220. 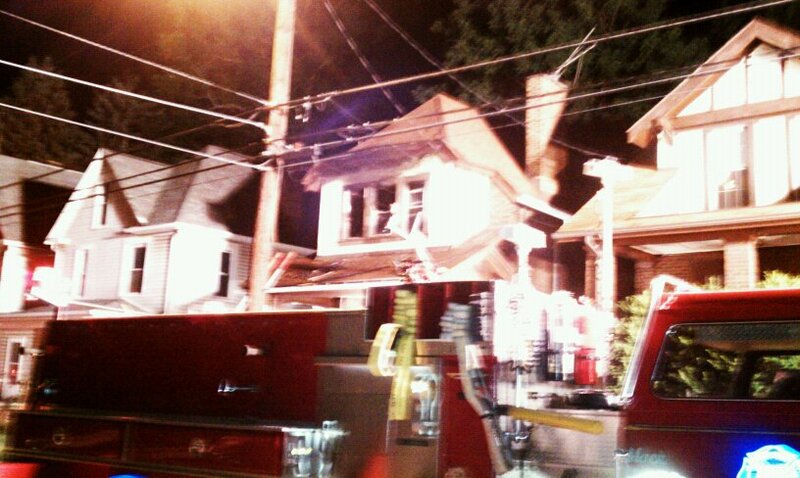 10/1/11: At 2143, Company 70, Engine 220, and 70 EMS were alerted for a CO Alarm activation at 559 Franklin Street. Engine 70-1 (with a full crew), Ambulance 70-2, and 70 Fire Police responded with 10 personnel, along with Engine 220-1. E70-1's crew checked the house with the gas meter, and found all readings to be normal. All crews returned to service within the hour. 10/1/11: Just after 1100 hours, Companies 220, 70, 169 Rescue, and 70 EMS were alerted for the vehicle crash on Srader Grove Road in South Buffalo Township. Just as Rescue 70 and Medic 70-2 were about to call enroute with 6 personnel, Company 220 requested all other units cancel with no injuries or hazards. 9/30/11: Following tradition, Company 70 was requested to participate in the annual Homecoming Parade for Freeport High School. Engine 70-1, Rescue 70, Medic 70-1, Medic 70-2, and Ambulance 70-3 escorted the Marching Band and Homecoming Queen nominees through the parade route along with Able 700, Tanker 220-1 (South Buffalo), Engine 36, and Ladder 36 (Sarver). EMS crews staffed all three trucks at the football game while the Freeport Yellowjackets gave the Ford City Sabers a 28-3 beating (much to the dismay of Director Bittner and EMT Linnon). 9/29/11: At 0920 hours, 36, 27, and 70 were dispatched to the intersection of Route 356 and Parker Road for an MVC with unknown injuries. Medic 70-2 responded. Units arrived on scene and a second EMS unit was requested, adding Medic 70-3 to the run. Medic 70-2 transported one patient and Medic 70-3 obtained a patient refusal. 9/21/11: At 1616, Stations 36, 27, and 70 EMS were alerted for an MVC on Route 28 in the area of Exit 17. Rescue 36 and Engine 27 arrived along with Ambulance 70-2 to find one patient injured and another patient refusing care. 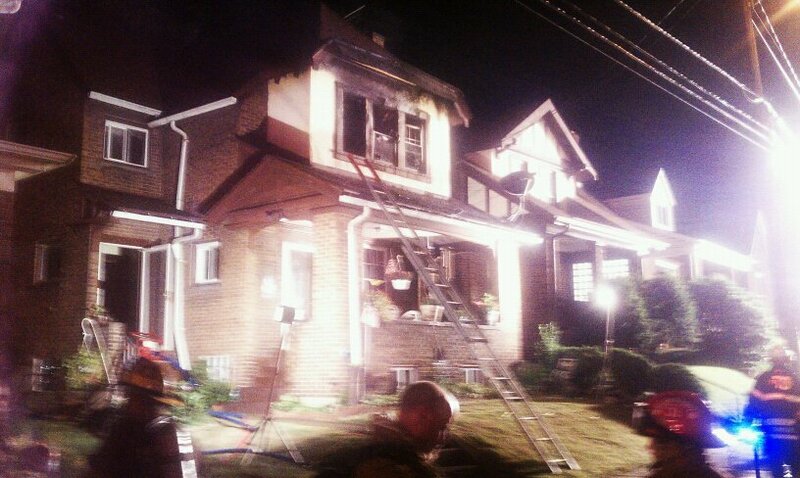 70-2 obtained one refusal and transported one to a Pittsburgh Trauma Center. 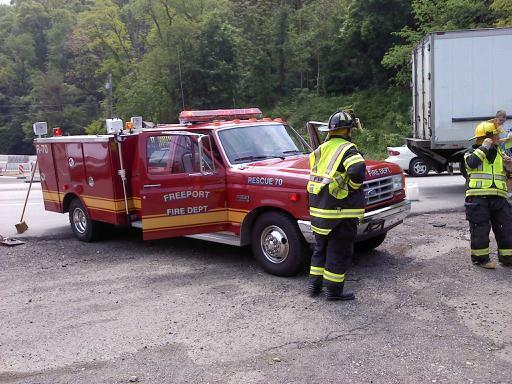 9/18/11: Just before the Steelers game was about to begin, Companies 70, 220, 169 Rescue, and 70 EMS were dispatched for a two vehicle MVC on the Freeport Bridge, at the stop sign. Rescue 70 (with 4), Squad 70 (with 3), and Ambulance 70-2 responded. Chief 70 cancelled all other units, leaving Engine 70-1 in station with 4 additional volunteers. EMS evaluated the occupants and all refused care. Squad 70 handled traffic control. Crews were on scene for less than a half hour. Company 70 personnel responding: 14. 9/14/11: At 1717 hours, Companies 70, 220, 169 Rescue, and 70 EMS were dispatched for the MVC on the Freeport Bridge, at the stop sign. Rescue 70 (with 4), Medic 70-2, and Chief 70-1 responded. Chief 70 had all other units cancel. Crews cleaned up the scene and handled traffic control while 70-2 evaluated the occupants. Crews were back in service within the hour. Company 70 personnel responding: 10. 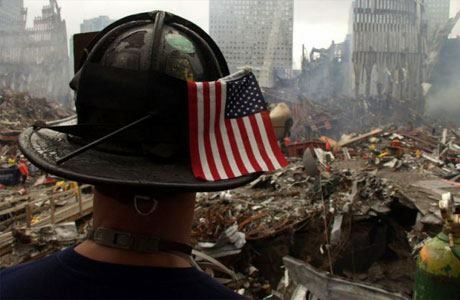 9/11/11: Today we remember those who lost their lives on 9/11/01. We especially remember the heroic acts of the countless firefighters, EMS workers, and police officers that put their lives on the line to save others. Lest we forget. 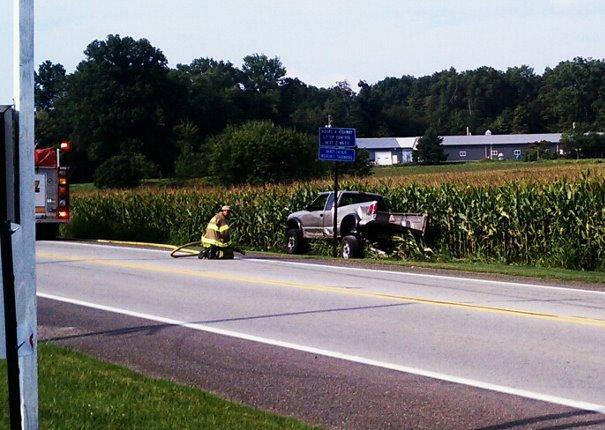 8/27/11: At 2114, Stations 36, 27, and 70 EMS were again alerted for an MVC on Route 356 in Buffalo Township, this time at the Younkins Drive intersection. Medic 70-2 responded and found two vehicles involved. Engine 27 and Rescue 36 stabilized the vehicle for patient removal and 70-2 transported one patient to a Pittsburgh trauma center. Picture courtesy of www.sarverfire.com. 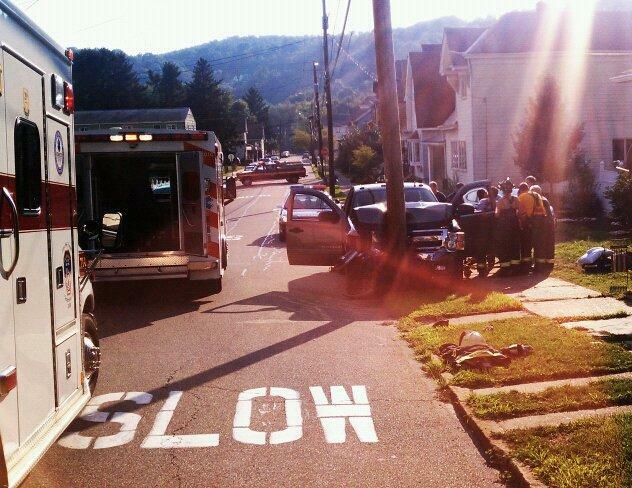 8/27/11: At 1624, 70 EMS was requested to respond for an MVC on Route 356 in the area of Vocelli Pizza. Medic 70-2 responded along with Engine 27 and Rescue 36. Medic 70-2 cleared the scene with all patients refusing EMS. 8/27/11: At 1602, Companies 70, 220, and 99 were dispatched for a report of a distressed boat in the area of the Freeport Boat Launch on the Allegheny River (in Allegheny Township). Chief 70-1 responded to the dock to find Lieutenant 36 (Sarver VFC) with his personal watercraft offering assistance. L36 responded to the boat and was able to pull it back to land. Rescue 70 and Squad 70 also responded. All other units were cancelled in station. Thanks to L36 for your assistance! 8/21/11: At 0741, Companies 70, 220, 169 Rescue, and 70 EMS were alerted for a vehicle into a wall in the area of 107 Buffalo Street. Rescue 70, Engine 70-1, Squad 70, and Medic 70-2 responded with 10 personnel, who were running on mere hours of sleep after staying up late Saturday night cleaning up from the Block Party. Crews arrived on scene to find one vehicle that had crashed into the cement wall along the side of Buffalo Street, with one injured patient still in the vehicle. Crews stabilized the vehicle and assisted EMS with removal of the patient. Chief 70-2 cancelled all other units. Squad 70 shut down 5th Street at High Street. Medic 70-2 transported the patient to a Pittsburgh hospital, and crews remained on scene for the arrival of PSP and Gillette's towing. Crews cleared within the hour. 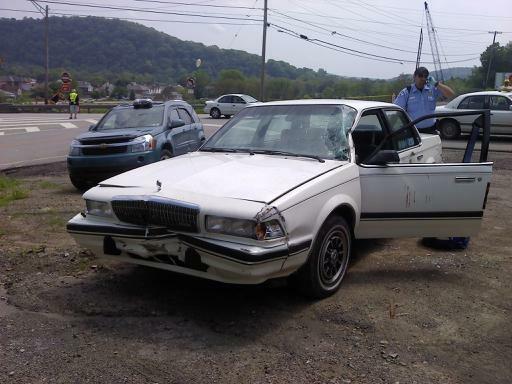 8/20/11: At 1257, just as the Block Party was starting, 70 EMS was requested by Citizens Hose to respond into Harrison Township, Allegheny County for an MVC with multiple injuries at Freeport Road and Highlands Mall Drive. Medic 70-2 and Medic 70-3 responded. Medic 70-2 transported one patient to a local hospital and Medic 70-3 was released by EMS command just prior to arrival. Freeport VFD's First Annual Block Party! 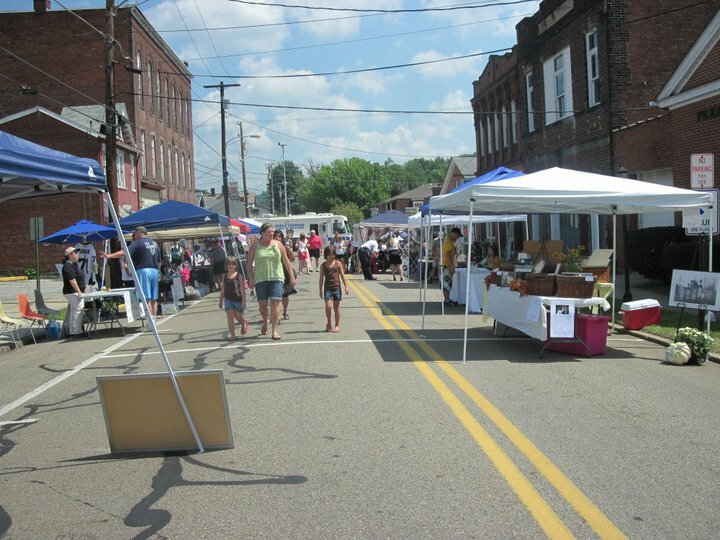 8/20/11: Members showed up during the early hours of the day to begin setting up for Freeport VFD's first annual Block Party fundraiser. Activities throughout the day included various bands and a DJ performing, a dunk tank, chuck-a-luck, duck pond, moon bounce, numerous food vendors (including FVFD's famous chicken), car-smash, apparatus displays, 50/50 drawings, a Chinese auction, and many vendors. Thank you to everybody who volunteered, donated their time or money, or helped out in any way. Also thank you to everybody who came out to support our cause! During the block party, the on-duty EMS crews responded to multiple emergency calls, including an MVC in Harrison Township. Photos courtesy of Chelsie Schultz. 8/15/11: At 1314 hours, Companies 220, 70, 169 Rescue, and 70 EMS were alerted for a possible MVC on Route 28, approx. 2 miles South of Exit 18 (Slate Lick). Rescue 70, Medic 70-1, and Ambulance 70-2 responded. Rescue 70 was cancelled enroute, and EMS crews cleared shortly after arrival. 7/31/11: Minutes before midnight, Companies 220, 70, 169 Rescue, and 70 EMS were dispatched to the area of 121 Ford City Road, South Buffalo Township, for an MVC with injuries. Medic 70-1 and Rescue 70 (with 4) marked enroute and arrived first on scene to find two vehicles that collided head on, both with heavy damage, and 70-1 requested two additional ambulances to the scene. Ambulance 70-2 called enroute from Allegheny Valley Hospital after clearing another call, as well as Saxonburg 45-1 who was in the area. Medic 273 was also dispatched. Engine 70-1 and Squad 70 also responded. Crews from 70-1 and R70 began triage and patient care of the three patients until the arrival of additional EMS. Crews from 70 Rescue and EMS, 45, and 273 packaged and loaded all three patients. 70-1 and 70-2, as well as 45-1, transported all three patients to local hospitals for minor injuries and returned to service. Rescue 169 also assisted with patient care. Squad 70 shut down Ford City Road at Freeport Road throughout the incident. The Rescue, Engine, and Squad were released by 220 within the hour. Company 70 personnel responding: 14. 7/31/11: At 1812, Companies 70, 220, 169 Rescue, and 70 EMS were dispatched to a one vehicle MVC, vehicle into a pole, in the area of 315 High Street. Medic 70-1, Ambulance 70-2, Rescue 70, and Squad 70 were all on scene within 5 minutes of dispatch to find as reported. Chief 70 cancelled 220 and 169. The Rescue and EMS crews stabilized the vehicle and removed the patient from the vehicle. 70-1 transported one patient to a local hospital. Squad 70 handled traffic control at the 3rd Street and 4th Street intersections of High Street. Crews remained on scene until the tow company removed the vehicle from the scene. After some fluid cleanup all units went back in service. Company 70 personnel responding: 11. 7/29/11: Just after 0535 hours, Companies 220, 70, 169 Rescue, and 70 EMS were alerted for an MVC on Horseshoe Drive in the area of the Sportsman's Club entrance. Rescue 70 and Medic 70-3 responded. Engine 220-1 arrived on scene and cancelled all other units. Company 70 personnel responding: 6. 7/26/11: At 1015, Companies 220, 70, 169, and 70 EMS were alerted for a possible structure fire at 262 Furnace Run Road, South Buffalo Township, caller reporting smell of something burning in the residence. Engine 70-1 and Medic 70-3 responded with 7. Upon arrival Engine 70-1 was ordered by Engine 220-1 to send their crew to the garage area with the thermal camera. The engine crew investigated an air conditioning unit in the garage believed to be the source of the smell. After talking with the homeowner Company 70 was released by 220. Company 70 personnel responding: 9. 7/22/11: Early Friday evening, severe thunderstorms rolled through Western PA, bringing wires and trees down across the area. Company 70 got its first runs of the day with a pair of AFA's in Buffalo Township. The first one on Deer Ridge Road at 1414 was cleared within minutes with a false alarm. The second one at South Pike Cinemas at 1745 brought Engine 70-1 with 4. While enroute Lieutenant 36 had the engine crew divert to numerous other calls around Buffalo Township due to a complete flooding of reports of wires and trees down in the area. At one point in time over 20 calls were working in Buffalo Township. Engine 70-1 and Rescue 70 (both with crews of 4) as well as Medic 70-3 responded all over the Township, including Monroe Road, Coal Street, McIntyre Lane, Scenic Drive, Cole Road, Parker Road, and Doyle Road. Crews assisted in removing trees from the roads and securing power lines while 36 and 27 operated on numerous incidents throughout the area, including a possible structure fire. The Engine and Rescue cleared and were in station by 2200 hours. Good job to all units from 36, 27, 70, and 15 that responded to these calls! Total Company 70 personnel responding: 12. 7/22/11: At 2215, Companies 27, 36, 15, 70, and 45 EMS were dispatched to a reported structure fire in the area of 155 Coal Hollow Road, Buffalo Township. Engine 70-1 (with 5) and Engine 70-2 (with 4) were enroute within minutes. Moments later, Engine 27 arrived on scene and had all units cancel their response with no fire found. Company 70 personnel responding: 10. 7/22/11: At 2300, 70 EMS was alerted to assist 36 and 27 with a hay bale on fire in a field at 245 Ekastown Road, Buffalo Township. Medic 70-3 responded and provided a standby crew for Brush 36, Engine 36, Brush 27, and Engine 27. Crews cleared within the hour. 7/23/11: Early Saturday morning, Medic 70-2 and Medic 70-3 provided standby crews for the Freeport International Baseball Invitational's 5K race in town. Medic 70-3 set up the mister fan at the finish line and provided a standby crew. During this event, Medic 70-2 and Ambulance 70-1 ran numerous EMS calls in the area. Just before 1230, 70 EMS was again alerted to 245 Ekastown Road for a hay bale on fire. Ambulance 70-3 responded. Just as crews were clearing the fire, Butler Control dispatched 36, 27, and 45 EMS for a two vehicle MVC with injuries in the area of 618 Ekastown Road. Brush 36, Tanker 27, and Brush 27 responded from the scene. 70-3 advised Commander 45 that they were just a minute down the road and were instructed to respond in to the scene. 70-3 arrived to find a two vehicle rear-end style collision with three patients refusing EMS and one requesting transport for evaluation. 70-3 obtained three sign-offs and transported one patient to a local hospital. An ALS crew was available in station throughout the incidents. 70 EMS responded to two other standby's in the first due, including a call for trees and wires down on Furnace Run Road in South Buffalo at 1607 hours, and a reported brush fire at 150 Foxwood Lane in Buffalo Township at 1747 that were handled by Medic 70-3. Ambulance 70-2 also maintained a standby crew at South Buffalo Township VFD's annual Super Tractor Pull at their station throughout the evening as well. 7/23/11: Once again, Company 70 prepared to stand by for the annual Freeport International Baseball Invitational fireworks display to end the week's activities. Engine 70-1 and Rescue 70 stood by on High Street between 1st and 2nd. Crews from 70, as well as Brush 36, walked around the area throughout the fireworks searching for any hot spots in the yards and roofs of the residences surrounding the boat launch, where they were being set off from. Crews enjoyed a wonderful meal courtesy of EMT Tino Bolcato at the station after they cleared the standby. Thanks to Brush 36, Engine 27, Engine 99, Tanker 99, Ladder 15, and Engine 15 for assisting us and standing by in the area! Company 70 personnel: 10. 7/15/11: At 1817 Companies 70, 220, 169 Rescue, and 70 EMS were alerted for a two vehicle MVC in the area of the Dugout Bar. Medic 70-3 arrived on scene on the Freeport Bridge at the stop sign along with AK Pulsar Medic 273, who was passing through, and advised of a two vehicle rear end style collision. Rescue 70, Ambulance 70-1, and 70 Fire Police responded with 9 volunteers, with an additional crew standing by in station with Engine 70-1 if needed. Crews arrived on scene with all patients refusing EMS and both vehicles drive-able, and all units cleared the scene within a half hour. Company 70 personnel responding: 13. 7/14/11: At 2345, 70 Fire Police was requested to respond into Harrison Township to assist with traffic control due to a water main break. Squad 70 responded and was ordered by Assistant 167 (Citizens Hose) to shut down Springhill Road at the top and bottom. 70 operated on scene for more than 3 hours before being released back in service. 7/13/11: At 2315, Companies 70, 220, Ladder 15, and 70 EMS were dispatched to a possible structure fire, smoke in a structure, at 725 High Street in the Borough. Minutes later, Engine 70-1 (with 6) and Engine 70-2 (with 3) were both on the road along with Medic 70-3. Crews arrived on scene to find fire showing from the 2nd Division of Side A, and Chief 70-1 struck a second alarm. Freeport PD advised 70 that all occupants were out of the structure. An 1 3/4" attack line was pulled off of E70-2 while additional crews established a water supply. Chief 70 arrived on scene and established command. The interior crew made a quick knockdown of the fire in the 2nd floor bedroom before any other units arrived on scene. Additional crews from Rescue 70, Engine 220-1, Engine 36, Engine 169, and Rescue 169 pulled an additional 1 3/4" line and a 3" line off of E70-2, began knocking down fire that spread to the attic, and searched for any additional extension. Ambulance 70-2 and Ambulance 70-1 also responded, along with Squad 70 and 70 Fire Police, who provided traffic control. Within a half hour the fire was under control, and in an hour Chief 70 scaled the assignment back to 70, 220, 36, and 169. 70 and 36 performed overhaul of the bedroom and attic and extinguished hot spots. After two hours on scene all units had cleared and returned to station. The fire was contained to the original room and part of the attic. Thanks to all units that responded and good job to everybody for the quick knockdown! Also thanks to Engine 15 for standing by in our station! Company 70 personnel responding: 21. Company 70 Welcomes Two New Members to the Family! The officers and members would like to congratulate Paramedic Bill Weston and his wife Megan Weston on the birth of their son Thomas James "T.J." Weston. T.J. was born at 1002 am on Friday July 18th at 7lb. 1oz. and 19 1/2 inches long! Also we would like to congratulate EMT/L4 Dan Kline and his wife Tracey Kline on the birth of Danica Anne Kline, born Monday July 11th at 0130 am, 5lb. 11oz. and 19 inches long! Welcome to the family T.J. and Danica! 7/11/11: Just before 1800 hours, Companies 220, 70, 169, and 70 EMS were alerted for a house struck by lightning at 107 Ford City Road, South Buffalo Township. Within minutes Engine 70-1 was on the road with a crew of 6 volunteers, along with Medic 70-2 and Squad 70. Upon arrival on scene Engine 220-1 found nothing showing, and Chief 220-1 had 70 stage at the end of the driveway. All units not on scene were cancelled, leaving an additional 5 volunteers in station. After investigating crews found that lightning struck the chimney of the house, scattering debris throughout the yard. With no fire Chief 220-1 released Company 70 back in service. Company 70 personnel responding: 15. 7/5/11: At 1530 hours, Company 70 was dispatched along with Stations 36, 27, and 15 to 723 South Pike Road, Buffalo Township, Assisted Living at Rosebrook, for an AFA. Engine 70-1 responded with 5. On scene E70-1 assisted 36 with the Thermal Camera to investigate. With nothing found 70 was released by Chief 36. Company 70 personnel responding: 8. 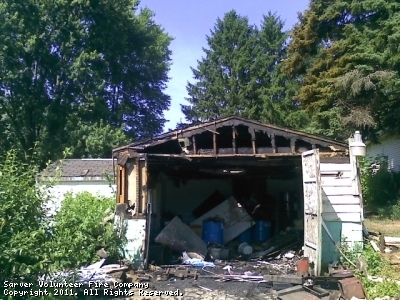 7/1/11: Shortly before 1300 hours, Butler Control dispatched Stations 36, 27, 15, and 70 EMS for a working garage fire on Kamer Drive, Buffalo Township. Medic 70-3 responded. Brush 36 arrived on scene and began an attack on the fire. 70-3's crew established a water supply for Engine 27 at the hydrant at Ekastown Road and crews began a knockdown. Engine 15 arrived and provided additional manpower. Crews worked to extinguish the fire, which was held to the detached garage with no extension. 70 EMS C2 was the fireground safety officer. Crews cleared the scene after approx. 1.5 hours. Picture courtesy of www.sarverfire.com. 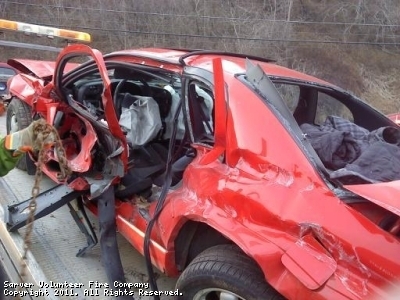 6/30/11: Shortly after crews cleared the first MVC, Stations 36, 27, and 45 EMS (3rd call working) were alerted for an MVC with multiple injuries in the area of 409 Sarver Road, Buffalo Township. 45 requested one unit out of 70 EMS respond, and Medic 70-2 went enroute. 70-2 arrived on scene with multiple patients, one severely injured. 70 EMS was re-alerted for an additional unit and a helicopter was placed in the air. Ambulance 70-1 responded and met 70 Medic 4 on scene. 70-2 transported the patient to the LZ where the patient was loaded into the helicopter and taken to a Pittsburgh Trauma Center. 70-1 (with 3) transported two patients from the scene to a local hospital for evaluation. 45 also transported one patient by ground. Company 70 personnel responding: 5. 6/30/11: At 1717 hours, Butler Stations 36, 27, and 70 EMS were dispatched to the intersection of Route 356 and Edgewood Drive for an MVC with multiple injuries. Ambulance 70-1 responded and had 70 EMS re-alerted for additional help. Medic 70-2 responded and a unit out of 45 EMS was requested. 70-1 and 70-2 transported patients to local hospitals and 45 obtained one sign off. 6/30/11: Just before 1300, Companies 220, 70, Rescue 169, and 70 EMS were dispatched to an MVC on Route 28. Rescue 70, Medic 70-1, and Medic 70-2 responded. Rescue 70 was cancelled enroute by Chief 220-1, and the Medics proceeded in to evaluate multiple patients. 70-1 transported one patient to a local hospital and 70-2 obtained multiple refusals. 6/25/11: At 1025, Companies 70, 220, 169 Rescue, and 116 EMS (covering for 70 EMS on multiple calls) were dispatched to the intersection of 2nd Street and Buffalo Street for a one vehicle MVC with one injury. Rescue 70 and Engine 70-1 responded, secured the vehicle, and provided traffic control for 116, who transported the patient from the scene. Chief 70 cancelled all other units. Crews cleared within the hour. Company 70 personnel responding: 6. 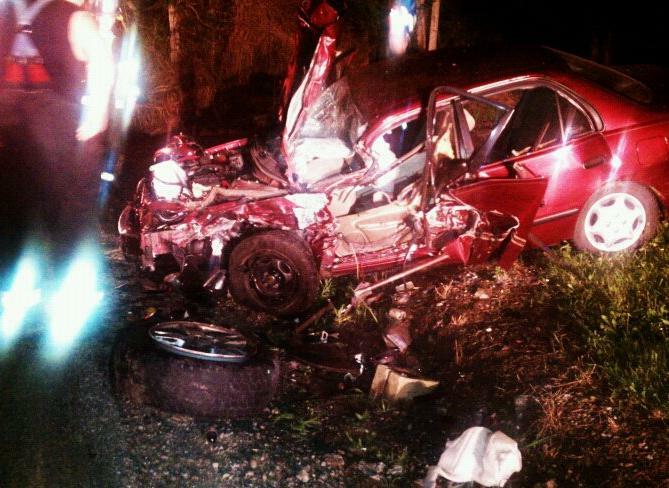 6/25/11: Just after midnight, Companies 220, 70, 169 Rescue, and 70 EMS were dispatched for an MVC on Furnace Run Road in South Buffalo Township. Rescue 70, Engine 70-1, and Medic 70-3 responded. While enroute, crews were cancelled by Engine 220-1 with nothing found. Company 70 personnel responding: 7. 6/24/11: At 2150 Companies 220, 70, and 70 EMS were alerted for a vehicle fire on Route 28, South of the Slate Lick exit. Company 70 was cancelled by Engine 220-1 while enroute. Company 70 personnel responding: 6. 6/12/11: At 1140 hours Companies 70, 220, 15, and 70 EMS were dispatched for a structure fire at 411 Riverside Drive, Freeport Borough, caller reporting microwave on fire in a 5th floor apartment. Medic 70-2, Engine 70-1, and Rescue 70 arrived and found the fire to be out with a smoke condition in the building. Crews ventilated and returned to service shortly after. 6/4/11: At 0849 Companies 70, 220, 169 Rescue, and 70 EMS were dispatched to Buffalo Street in the area of Devereaux Chevrolet for a vehicle vs. a pole with one injury. Medic 70-2 arrived on scene along with Chief 70-1 to find one injured patient still in the vehicle, with no entrapment. Rescue 70 (with 3) arrived on scene, stabilized the vehicle, assisted with removal of the patient, and handled traffic control. Medic 70-2 transported to a Pittsburgh trauma center while Rescue 70 and Chief 70-1 remained on scene until the arrival of the towing company. Company 70 personnel responding: 7. 6/1/11: Early Wednesday morning, Companies 220, 70, 169 Rescue, and 70 EMS were dispatched to a deer vs. vehicle on State Route 28, southbound, between the Sarver and Slate Lick exits. Caller reported the deer "through the window". Medic 70-2 and Rescue 70 responded and arrived along with PSP to find one vehicle off the road, one injury, and the deer outside of the vehicle. 70 Lieutenant 1 spoke with the PSP trooper and cancelled all units not enroute. Rescue 70 provided traffic control until Medic 70-2 departed the scene with the patient to a Pittsburgh trauma center minutes after arrival, and all units were placed back in service. 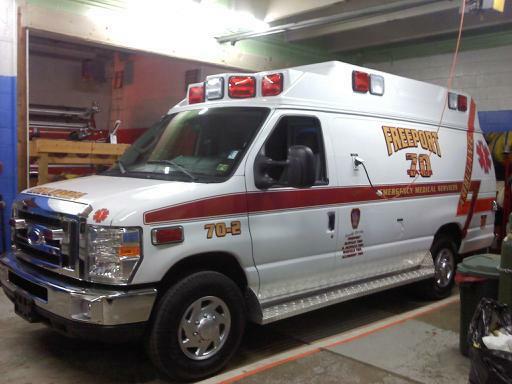 5/24/11: At 1731, Companies 220, 70, 169 Rescue, and 70 EMS (2nd call working) were alerted for an MVC at the intersection of Foreman Road and Freeport Road in South Buffalo Township, caller reporting a truck vs. a motorcycle. 70 EMS immediately placed the closest available helicopter on standby. Medic 70-2, Rescue 70, 70C1, and 70 Fire Police marked enroute with 8 volunteers. Upon arrival of 220, they found a male partially pinned between the vehicle and the motorcycle and requested the helicopter (Stat MedEvac 16) in the air. 70 C1 arrived and began patient care followed by M70-2. 220 Command requested R70 shut down Freeport Road at the 28 interchange for an LZ along with 169 Utility and 70 Fire Police. The Rescue crew split to assist with patient care and LZ set up. Within 15 minutes of M70-2 arriving on scene the patient was transferred to the Stat MedEvac crew and destined to a Pittsburgh trauma center. Crews cleared within the hour and returned to service. Company 70 personnel responding: 10. At 2031 Rescue 70 was dispatched to assist Ambulance 70-2 with a lift assist. The Rescue was on scene within two minutes of dispatch, assisted the EMS crew, and returned to service. Company 70 personnel responding: 6. 5/23/11: At 1331, Companies 70, 220, 36 Ladder, and 70 EMS were alerted for the smoke in the basement at 154 Washington Street. Engine 70-2 went enroute with 4 along with Ambulance 70-2 and 70 Fire Police. Crews arrived with nothing showing and Chief 70-1 established command. The engine crew found a washing machine belt smoking with no extension, and command had all units hold in station, leaving Engine 70-1 back in with 5. The building had already self ventilated and all units were released shortly after arrival. Company 70 personnel responding: 15. 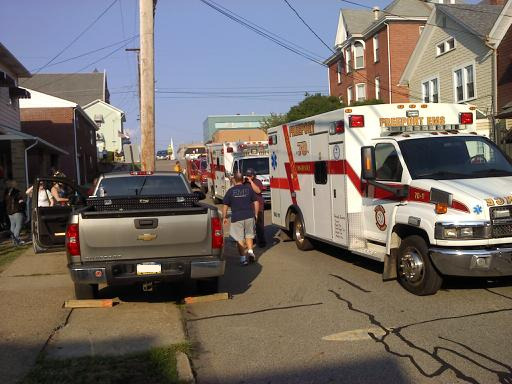 5/22/11: At 2145 Companies 70, 220, 169 Rescue, and 70 EMS were dispatched to an MVC in the "area of 7th Street" in Freeport. Freeport PD arrived on scene during dispatch and had all units cancelled, leaving 9 personnel in station. At 2204 PD requested Company 70 respond to the scene at the Freeport Playground on 2nd Street to assist PD in removing a "vehicle in the playground". Allegedly, the vehicle was coming down the Freeport hill from Route 908 when the driver lost control and crashed through the fence and into the playground. After the vehicle went through, the fence came back up and blocked the vehicle in. Rescue 70, Engine 70-1, and Medic 70-1 responded and used the DeWalt power tools to gain access into the park and remove the vehicle. Crews cleared within the hour. Company 70 personnel responding: 12. 5/22/11: At 1330 Companies 70, 220, 169 Rescue, and 70 EMS were alerted for a two vehicle MVC involving a truck in the area of Devereaux Chevrolet on Buffalo Street. Rescue 70 and Medic 70-1 arrived on scene at the corrected location of Route 356 at the Laneville Entrance, two vehicles off the roadway with one possible injury. With no entrapment 220 and 169 were cancelled. The rescue crew contained a small diesel fuel leak with oil dry while the EMS crew evaluated the drivers. With all patients refusing transport, M70-1 returned to service while R70 and 70 Fire Police remained on scene to await PSP and the tow company. Crews cleared after approx. 2 hours. Company 70 personnel responding: 11. 5/22/11: At 0306, 70 EMS was requested to assist Stations 36, 27, and 45 EMS for a two vehicle MVC in the area of North Pike Road and Coal Hollow Road in Buffalo Township, one vehicle on the side of the road and one into the woods, with reports of multiple people walking around the vehicles. Chief 27 arrived on scene on North Pike Road in Winfield Township, and advised Medic 70-1 to cancel with no injuries or entrapment. 5/14/11: On May 12th, crews placed Engine 70-1 back in service after undergoing complete repair of the pump as well as many other repairs. At 1453 hours on May 13th Company 70 was alerted to assist Butler County Stations 27, 36, and 15 with an AFA at 244 North Pike Road, Buffalo Township. Engine 70-1 responded on the run with 3. E70-1 and E15-2 arrived behind Engine 27, and E70-1 was ordered by command to stage in the parking lot before being released with a false alarm. Company 70 personnel responding: 6. On May 14th at 2146 Companies 36, 27, and 70 were dispatched to an AFA at 111 High Point Drive, Buffalo Township. Engine 70-1 responded with 6 and was released by 36 command upon arrival. Company 70 personnel responding: 8. 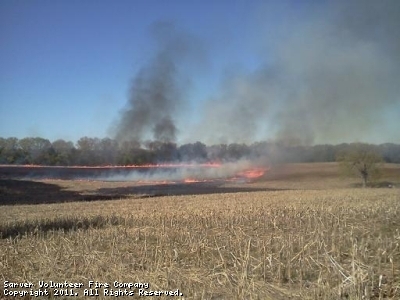 5/9/11: At 1643 Stations 27, 36, and 70 EMS were alerted for a small field fire in the area of 208 Silverview Drive in Buffalo Township. Buffalo PD arrived within minutes advising of a large, fast-moving field fire. Medic 70-1 responded and assisted 27 and 36 with containing the fire, and brush units from 15, 46, 169, and 220 were requested along with 116 EMS for rehab and additional units out of 70 EMS. Ambulance 70-3 responded with its rehab equipment as well as extra rehab supplies from the station. 70-3, 116-2, Squad 116, and Medic 271 established rehab with 116's inflatable shelter, multiple misting fans, and coolers of water and Gatorade. After a few hours crews contained the fire to the field and all units were released by command. An ALS crew was kept in station with Medic 70-2 for additional calls in our area. Company 70 personnel responding: 7. Congratulations to Chief Scott Jones and 2nd Assistant Chief Tom Sweeny Jr. for successfully completing the PA Department of Health's 48-hour Basic Vehicle Rescue Technician course! Also thanks to Citizens Hose of Natrona Heights for hosting the class and Ron Shaffer for teaching the class! 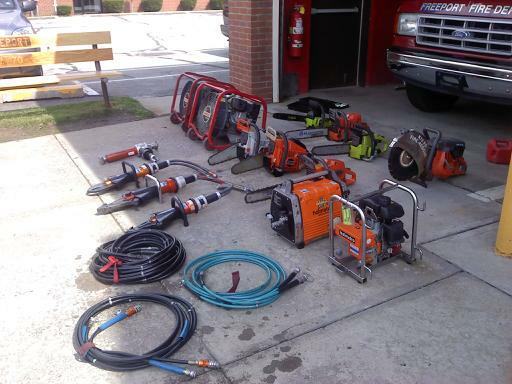 4/26/11: With severe storms predicted to hit throughout the evening, crew members at Station 70 took advantage of the nice weather during the afternoon and ran all of the power tools from the Engines, Rescue, and Medic 70-1, as well as spare saws at the station. Fortunately, the severe weather did not hit and the tools were not needed. 4/24/11: Just before 0300 hours Companies 220, 70, Rescue 169, and 70 EMS were alerted for an MVC with unknown injuries or entrapment on North Scenic Drive in South Buffalo Township, approx. 1 mile north of Sarver Road. While enroute 169 engineer marked on scene with one vehicle over the hillside, one patient walking on the road. Engine 220-1, Medic 70-2, and Rescue 70 arrived on scene to find no other patients in the vehicle, and Rescue 169 was cancelled. The vehicle had rolled down the hillside, coming to a rest with the roof against a tree just feet above the rising Buffalo Creek. All 70 units were released by 220 Chief shortly after arriving on scene. Company 70 personnel responding: 8. 4/2/11: As Ambulance 70-2 was returning to station from an E1 call in Harrison Township, 70 EMS was alerted to assist Buffalo PD with an MVC at South Pike Road and Harbison Road for evaluations. 70-2 marked enroute and was on scene within 4 minutes of dispatch to find a two vehicle rear-end style collision with moderate damage and airbag deployment. 70-2 evaluated three total patients, and all refused transport. 70-2 returned to service in under a half hour. 3/31/11: Shortly before midnight, Companies 220, 70, 169 Rescue, and 70 EMS were alerted for a one vehicle rollover with unknown injuries or entrapment on Freeport Road in the area of Winfield Road. Medic 70-1, Rescue 70, and Squad 70 responded. Crews arrived to find one patient refusing treatment and one vehicle overturned down a slight embankment, and with no entrapment and sufficient personnel on scene Chief 220 cancelled 169 Rescue. Rescue 70 set up its lights along with Engine 220-1 and secured the vehicle. Squad 70 provided traffic control. Medic 70-1 obtained one patient refusal and returned to service. The Rescue and Squad remained on scene with 220 and PSP until the towing company arrived. All units cleared the scene after about 1.5 hours. Company 70 personnel responding: 7. 3/28/11: At 1653, 70 EMS was requested by Able 700 to respond to an MVC on the Freeport Bridge at the stop sign for a two vehicle accident. Medic 70-2 responded and arrived to find a two vehicle rear-end style collision with two patients, and 70 EMS was re-alerted at 1701 for a second unit. At 1704 Medic 70-1 was enroute with an additional crew. Crews packaged both patients and both were transported to area hospitals for minor injuries, leaving an ALS crew available to cover the area. 3/26/11: At 1906, Companies 70, 220, 169 Rescue, and 70 EMS (3rd call working) were dispatched to an MVC possibly with injuries at the intersection of 2nd Street and Mulberry Way. Medic 70-1, who was passing through the borough enroute to the hospital, stopped at the scene to render care until additional units arrived. Chief 70-1 and Ambulance 70-2 arrived shortly after to find a two vehicle collision with moderate front end damage to both with four patients. Medic 70-3 (along with Medic 273) was clearing ACMH as the call was coming in and responded. With no entrapment 169 was cancelled. Crews began a quick triage of the patients to find three uninjured patients and one possible injury. Rescue 70 and Engine 70-2 arrived and began containment of the vehicles while Squad 70 provided traffic control on 2nd Street at the Market Street and High Street intersections. Engine 220-1 also assisted with containment. Crews remained on scene for about an hour until the towing company arrived. 70 EMS obtained four refusals and all units cleared by 2030 hours. Company 70 personnel responding: 14. 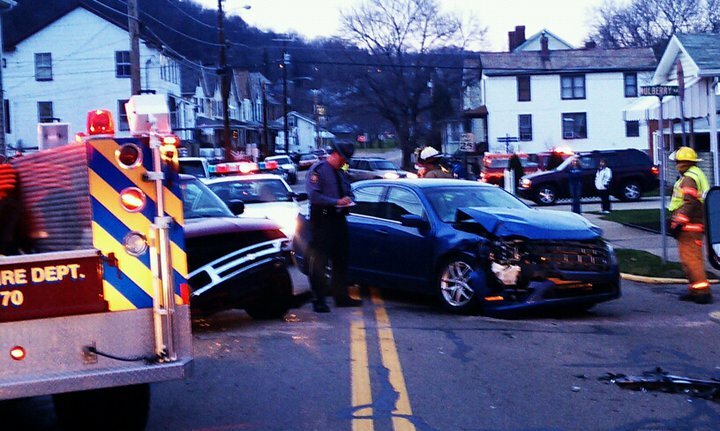 3/24/11: At 1746, 70 EMS was requested by 116 EMS to assist them and Westmoreland County Stations 99 (Allegheny Township) and 51 (Vandergrift #1) with a multi- vehicle MVC with rollover, multiple injuries, and entrapment. Medic 70-3 responded and provided an ALS assist to 116-4, who transported the patient to a Pittsburgh trauma center. Picture courtesy of www.vfr51.com. 3/24/11: Shortly after 1400 hours, 70 EMS was requested to respond one unit to assist Saxonburg Station 15 and 45 EMS with an MVC on Sarver Road in Clinton Township. Medic 70-3 responded and transported one patient to a Pittsburgh trauma center. 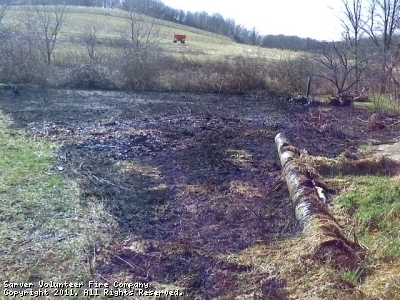 3/19/11: At 1541, 70 EMS was requested to respond with Stations 27 and 36 to a brush fire in the area of 460 Monroe Road in Buffalo Township. Medic 70-3 responded and arrived along with fire crews to find a field on fire endangering a large barn. Crews from 27 and 36 had a good knockdown of the fire and kept it from spreading to the exposures. 70-3 returned within the hour. Pictures courtesy of www.sarverfire.com. 3/14/11: At 1743 70 EMS was alerted to respond to a vehicle accident with multiple injuries on Freeport Road in the area of The Dugout Bar in Buffalo Township, along with Stations 36 and 27. Medic 70-1 and Ambulance 70-3 responded and arrived within minutes of dispatch to find one vehicle into the guard rail with moderate to heavy damage on the driver's side and both patients out of the vehicle. Crews packaged both patients, and 70-1 transported one to a Pittsburgh trauma center and 70-3 to a local hospital. Pictures courtesy of www.sarverfire.com. 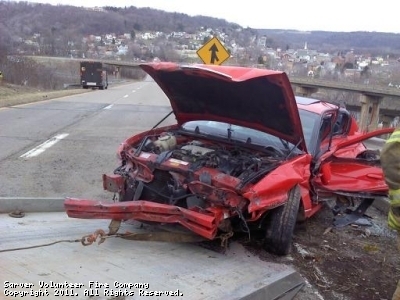 3/8/11: At 1306, Freeport PD requested 70 EMS to assess two patients at an MVC on the Freeport Bridge. Ambulances 70-2 and 70-3 responded and obtained two refusals before returning to service. 3/2/11: Shortly before 1400, Companies 220, 70, 169 Rescue, and 70 EMS were alerted for the MVC on Ford City Road in the area of Grandview Drive. 70 EMS was also simultaneously alerted for an E1 call into Butler County that Medic 70-1 handled. Ambulance 70-2 responded and before any other units were enroute PD requested that all units cancel with the exception of 70-2 for an evaluation. 70-2 obtained one patient refusal and returned to service. 2/25/11: Near the end of the day on Friday, Allegheny County alerted Stations 112 (Pioneer), 281 (Eureka), and 280 Truck (Highland) for a structure fire in a vacant house on Brackenridge Avenue in Brackenridge. Crews arrived on scene to find a fully involved fire with exposures and a collapsed roof, and 168 Truck (Hilltop) was requested as well as 70 Squad to assist with blocking off the area. The Squad responded and assisted Company 112 (Pioneer) with traffic control. 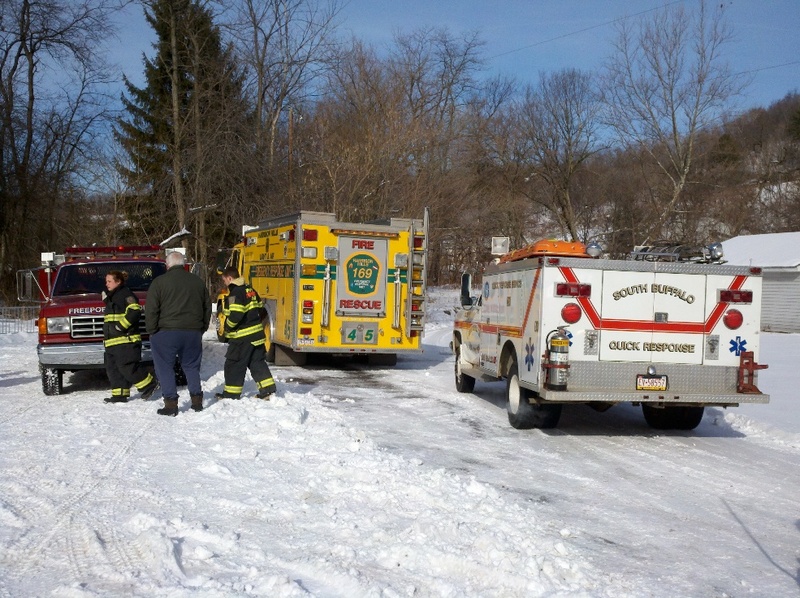 2/20/11: Shortly after 1500 70 EMS was requested for a medic assist to 116-1 for an E1 in Leechburg Borough. 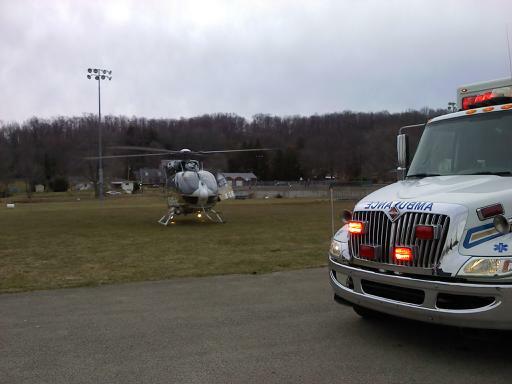 Medic 70-3 responded and provided an ALS assist, transporting the patient to the football field in Leechburg and transferring care to LifeFlight 6, who then transported the patient to a Pittsburgh hospital. Both the paid staff and EMS volunteers were kept busy in the week of 2/13 to 2/20, running a total of 47 calls. Many of these calls were mutual aid, with crews running numerous calls in our primary area of Freeport Borough, South Buffalo Township, Winfield Township, and Buffalo Township, as well as assisting on calls in Brackenridge Borough, Fawn Township, Harrison Township, Leechburg Borough, West Leechburg Borough, Saxonburg Borough, and Franklin Township (Butler County). 2/18/11: Around 0600 Friday morning Companies 70, 220, and 70 EMS were dispatched for an MVC with unknown injuries or entrapment in the area of the bridge on Route 356. Ambulance 70-1 responded and found no injuries and no need for fire and all units were returned to service. 2/17/11: As Ambulance 70-3 was clearing an emergency at Butler Memorial Hospital, 99-21 (Butler Ambulance Supervisor) requested 70-3 respond to assist Butler Ambulance with an MVC with multiple patients on Route 422 in Franklin Township in the area of the Sunoco. 70-3 arrived and split its crew, with one EMT driving a 99 unit, and the second EMT driving a 99 Paramedic in 70-3. Crews transported both patients to a local hospital and returned to service shortly after. 2/17/11: At 0811, Companies 220, 70, 169 Rescue, and 70 EMS were dispatched to an MVC, vehicle rollover with one patient reportedly entrapped, on Ford City Road in South Buffalo in the area of Grandview Drive. Medics 70-3 and 70-1 responded and arrived to find a vehicle on its side with one patient that had self-extricated shortly before the first units arrived. Engine 220-1 arrived on scene and cancelled all other units. 70-3 obtained one patient refusal and returned to service. 2/13/11: At 1011, Companies 70, 220, 15, and 70 EMS were dispatched for a kitchen fire at 411 Riverside Drive in Freeport Borough. Armstrong 911 advised they received a call from the alarm company as well as the resident of that apartment. Prior to arriving on scene, the fire was reported to be out. Engine 70-2 and Medic 70-3 investigated and found that the contents of the oven caught on fire, and the resident used an extinguisher to put out the fire. All units except Company 70 and Engine 220-1 were ordered to hold in station. Crews from E70-2 and E220-1 checked the area for extension with the thermal camera and ventilated the 4th floor. Crews returned to service within the hour. Company 70 personnel responding: 10. 2/6/11: As a group of members, family, and friends watched the Super Bowl at Station 70, Companies 220, 70, 169, and 70 EMS were alerted for a porch on fire at 322 McVille Road. Engine 70-2, Rescue 70, Squad 70, Medic 70-2, and Ambulance 70-3 all responded. Engine 220-1 arrived on scene within minutes and quickly got the fire under control. 70 and 169 was cancelled before arriving on scene, and crews returned to station to watch the remained of the game. Company 70 personnel responding: 14. 1/31/11: As crews were still on scene of the physical rescue, 70 EMS was requested into Butler County to respond to an MVC on South Pike Road in the area of SSI Computers. Ambulance 70-1 responded and arrived to find a two vehicle rear-end style collision, both vehicles off the roadway. With no injuries, 70-1 cleared after obtaining a refusal and responded directly to a second call in Buffalo Township. 1/17/11: Just after 1400, Companies 27, 36, 15, and 70 were dispatched to 110 South Pike Road for an AFA with sprinklers flowing water. With 6 volunteers in station, Company 70 was requested to stand by. Ladder 36 arrived with nothing showing and found sprinklers activated above fryers with no heat extension and 70 was placed back in service. 1/14/11: Shortly before 2230, Companies 220, 70, 169 Rescue, and 70 EMS were alerted for a one vehicle rollover with unknown injuries or entrapment on McVille Road in South Buffalo Township. Within minutes, Medic 70-3, Ambulance 70-1, and Rescue 70 were on the road with 7 personnel. While all units were enroute Company 220 cancelled 70 Rescue/EMS and 169 Rescue, and all units were placed back in service. Company 70 personnel responding: 10. 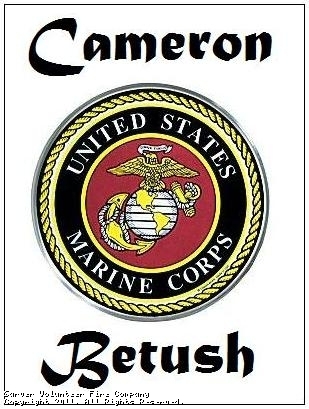 The officers and members of Station 70 would like to wish good luck to Sarver Fire-Rescue firefighter Cameron Betush, who will be deployed to Afghanistan with the United States Marine Corps. He is expected to leave soon and will be serving a 13 month deployment. Good luck and stay safe Cameron! 1/11/11: At 0914 hours, Companies 220, 70, 169, and 70 EMS were dispatched for a chimney fire at 188 Ford City Road. 220 arrived on scene and cancelled all units, and Ambulance 70-3 and the engine crew in station returned to service. 1/9/11: Just before 1830, Companies 70, 220, Ladder 36, and 70 EMS were again dispatched for a smoke investigation in the Borough, this time in the area of 310 Market Street. Caller reported strong smell of smoke in the area. Medic 70-1, Engine 70-2, and Squad 70 investigated Market Street and Engine 220-1 investigated Riverside Drive. With nothing found all units went back in. 1/7/11: At 1245, Companies 220, 70, 169 Rescue, and 70 EMS were alerted for an MVC on South Scenic Drive in South Buffalo Township. Medic 70-3, Ambulance 70-1, and Squad 70 responded. Crews arrived to find one vehicle with moderate damage and no injuries. All 70 units cleared the scene within the hour. 1/6/11: Just before 1340, Companies 70, 220, Ladder 36, and 70 EMS were alerted for a smoke investigation in the area of 1st Street and Market Street in Freeport, caller reporting large amounts of smoke in the area. Medic 70-3 and Medic 70-1 went enroute immediately with 4. Chief 70-2 found a controlled burn in the area and placed all units back in service. 1/4/11: At 1139 hours Stations 36, 27, and 70 EMS were dispatched for a one vehicle rollover with an injury on State Route 28 near Exit 17. Medic 70-2 responded and transported one patient to a local hospital.